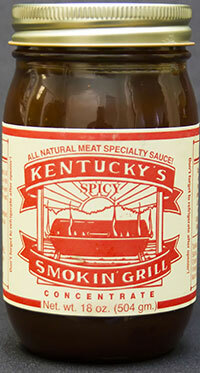 Barbecue, Meat Specialty Sauces and Spicy-Sweet Mustard! "Could be a barbaque, could be a spread. Pour it on a chicken, smear it on yo' bread. Looks great on a pig, not bad on a cow. Got a pan of meatloaf? Better get some now!" Get information about our ingredients and nutrition by clicking the book icon to the left. Wonderful! My favorite go-to sauce. I have used it for years and love to have on stock. And, it's wonderful for a take home gift when you have out-of-state company.